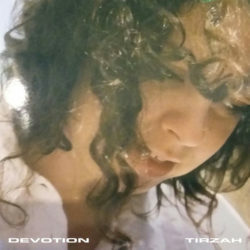 Following her acclaimed EPs released on Greco-Roman, new album Devotion positions London based Tirzah as a unique contemporary soul voice on an innovative modern British R’n’B record, produced by Mica Levi. The 11-songs across Devotion are an intimate collection of downtempo love-songs laced with romance and lust, melancholy and desire. The album was conceived and written with long-term collaborator, Mica Levi who handles the music and production across the whole album, Tirzah providing vocals, melody and lyrics. Additional vocals and lyrics are provided by Coby Sey on stand out track, Devotion. The album was mixed by Mica and Kwes.